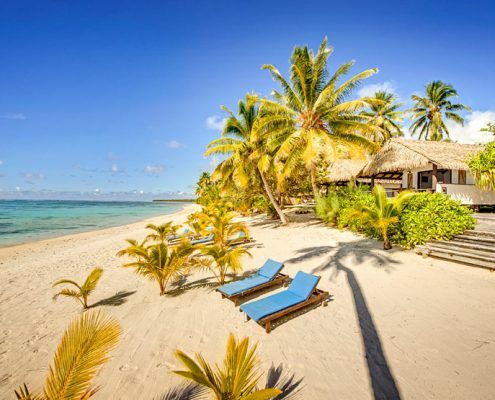 Located on the western coast of Aitutaki with its amazing sunsets, Tamanu Beach is nestled amongst lush tropical gardens on the shores of a crystal-clear blue lagoon. 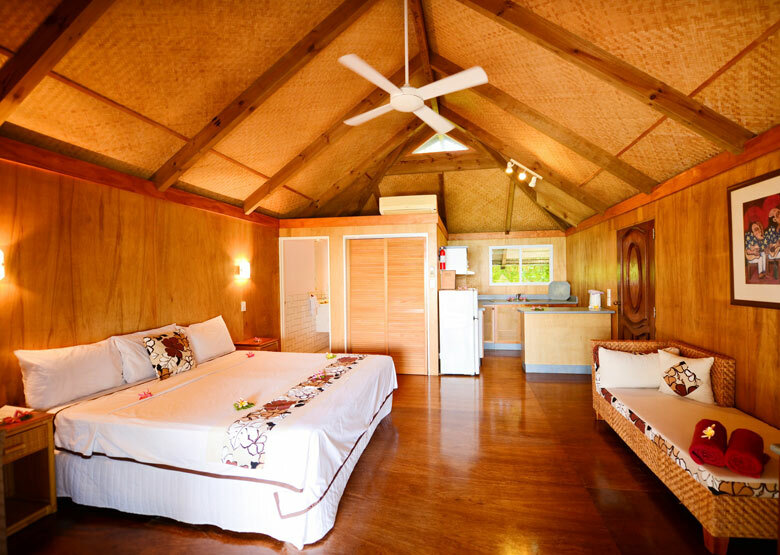 Tamanu Beach offers a variety of garden, lagoon view and beachfront bungalows, all well placed to provide for maximum privacy and comfort. 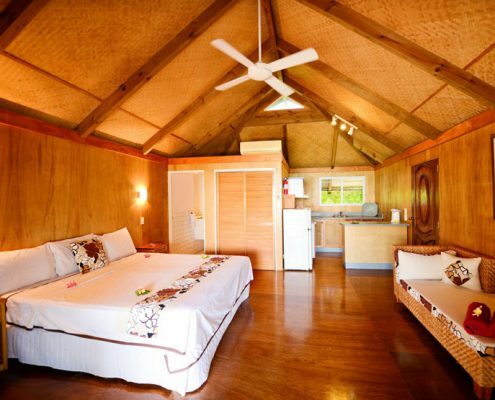 The Studio Bungalows and One Bedroom Bungalows each occupy their own area around landscaped gardens. 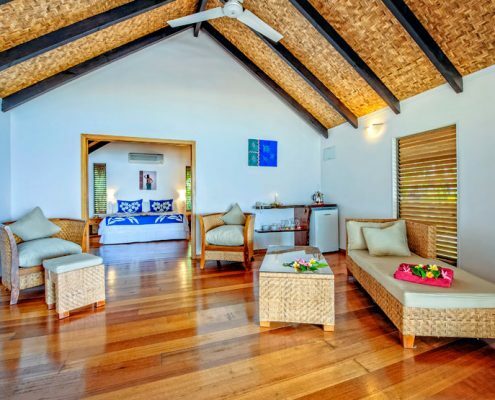 An endless white sand beach offers plenty of opportunities to explore the lagoon, and a fresh water horizon pool with surrounding outdoor deck provides a relaxing spot to lie back or enjoy a cocktail. 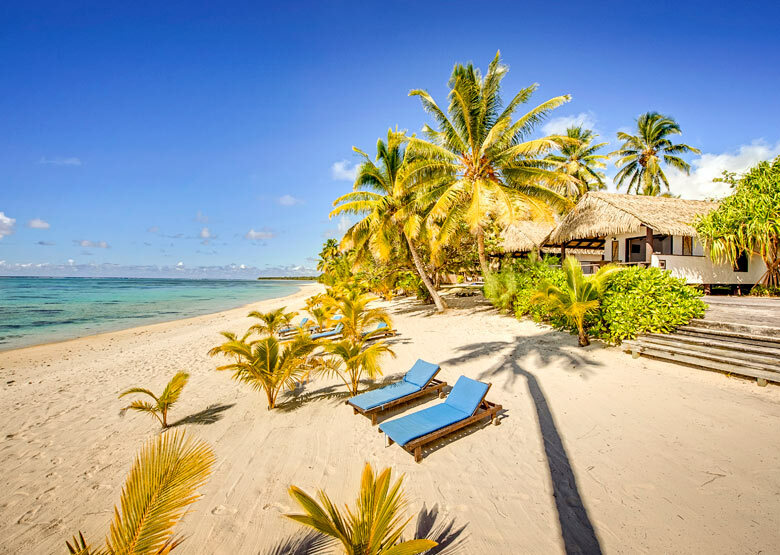 The Beachfront Restaurant is open 7 days a week for breakfast, lunch and dinner and offers guests a great Pacific Island dining experience with a quality menu. 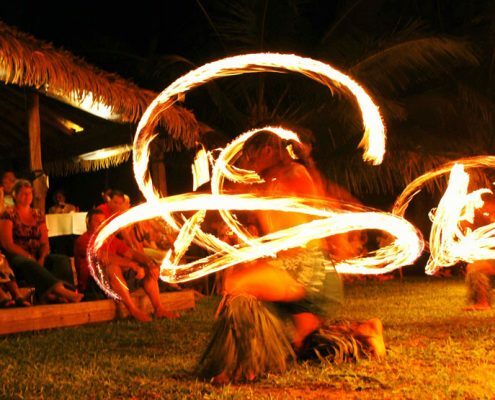 Enjoy the Sunday Sunset BBQ and the traditional Fire & Dance Show each Thursday is not to be missed. 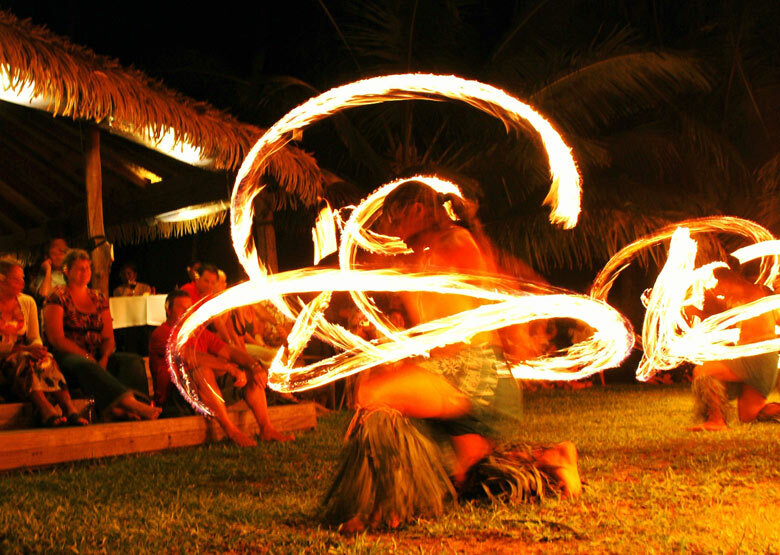 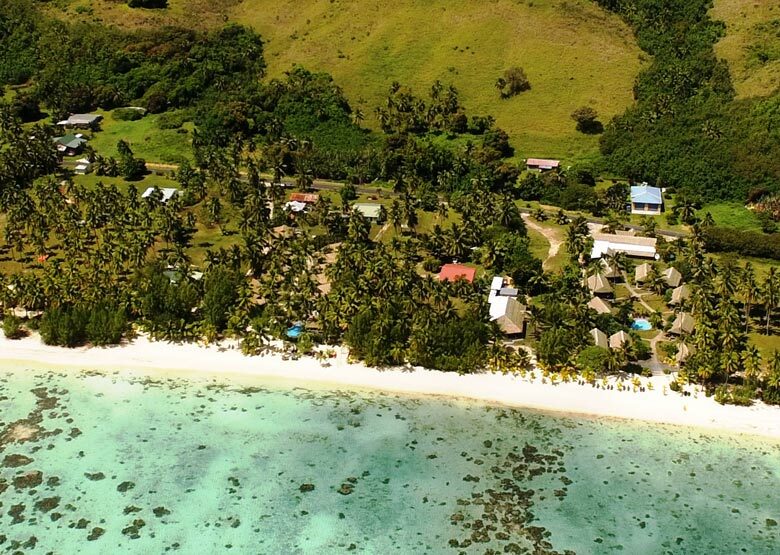 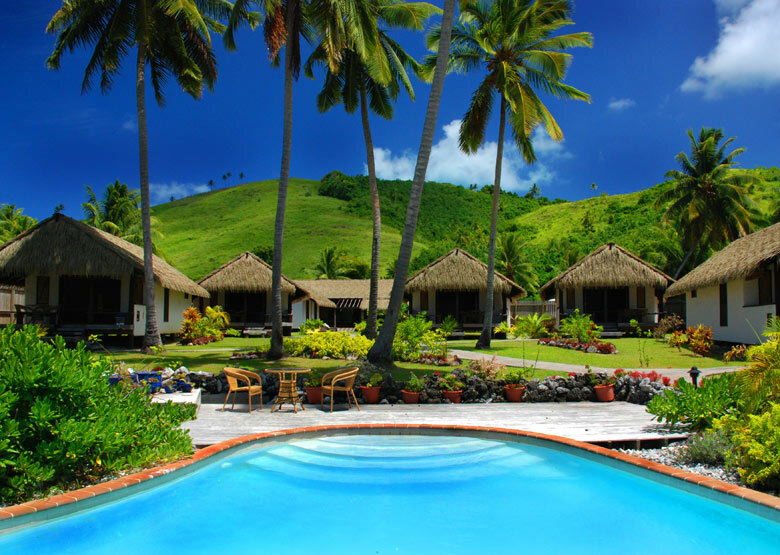 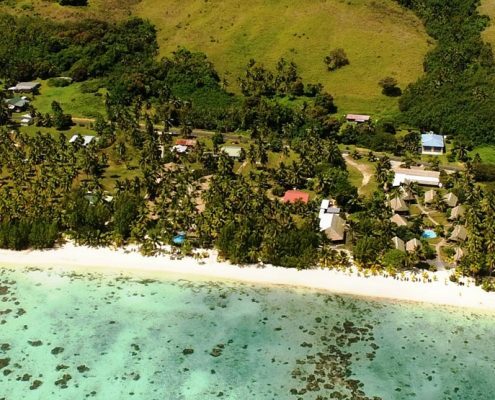 Tamanu Beach is family operated and offers guests a wonderful experience combining a blend of culture, tradition, superb beach location and friendly Polynesian hospitality. 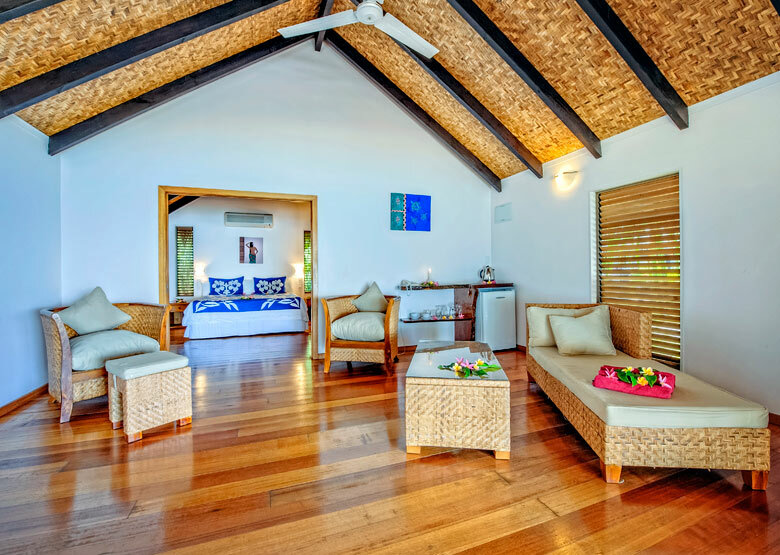 22 rooms in total – Studio Garden Bungalows, Studio Lagoon Bungalows, Studio Beachfront Bungalows, One Bedroom Lagoon Bungalows, One Bedroom Beachfront Bungalows.